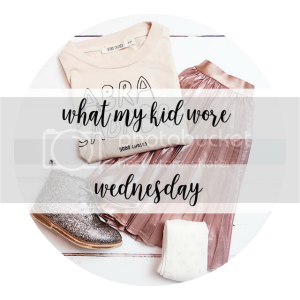 I love sneaking a peak at #ootd and #whatmykidwore hashtags on Instagram and I have been saying for ages that I will join in with This Mama Life's kids style linky, and then I thought, well my kids don't actually wear much stuff that is new, so will people actually want to even see it? It may well be the season of blossom, sunshine and evening walks BUT let me tell you here on the East coast it kinda feels like I fell asleep over Easter and slept through spring and summer and woke up in the middle of autumn! So without further ado here are some of our favourite outfits from the last week. 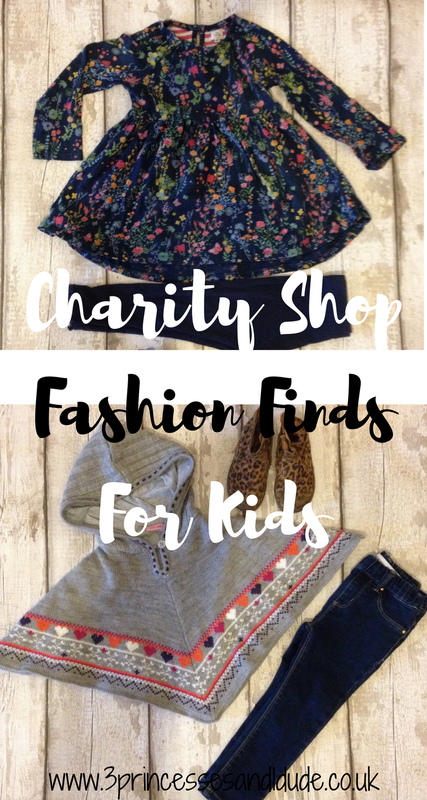 Some charity shop finds, some Facebook/ebay finds, some hand me downs and some brand new! 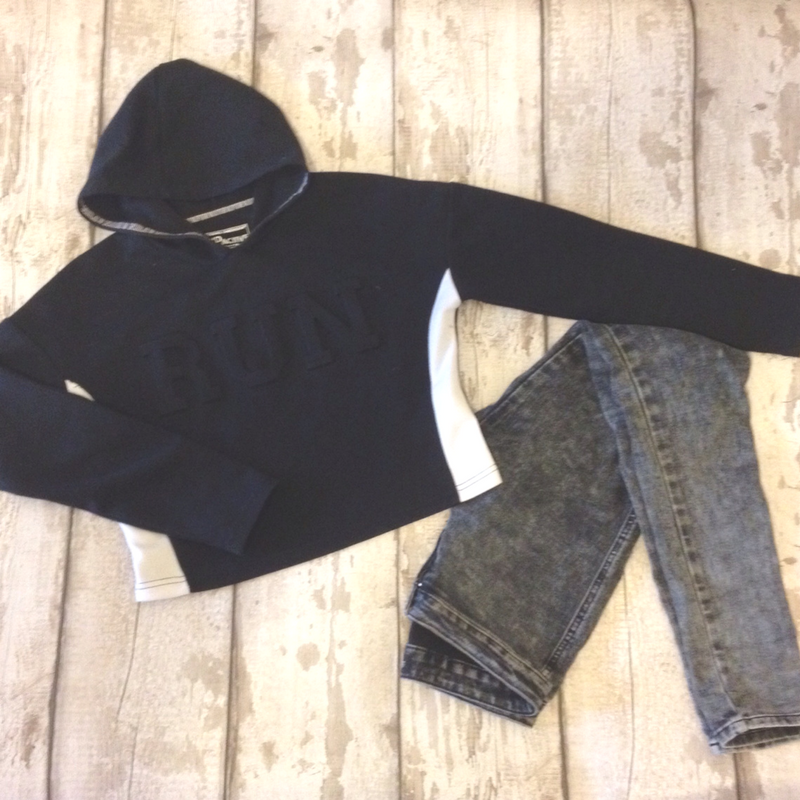 Elsie has been rocking the poncho this week, she has basically wore it over everything and always with jeans or leggings! It isn't very often I can get Elsie into a dress or a skirt but this poncho added a little bit of girliness to a Batman and truck obsessed 3 year old's wardrobe! Evie, on the other hand, HATES wearing anything but dresses and skirts, and so I will let you imagine the tantrum that ensued when she realised we had to go out and she had no clean tights and it was too cold for socks. 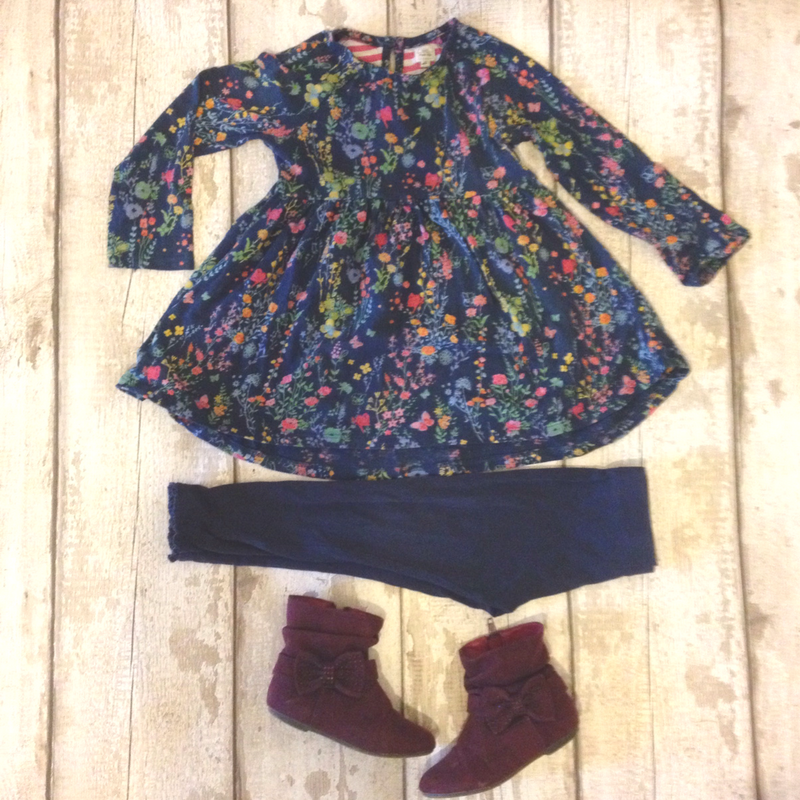 It was OK in the end though I persuaded her that the leggings would look just like tights with her brand new berry bow boots (that were worn once for a party by the previous owner and I won for £1 on a local Facebook auction page) and a dress. Over the next few weeks you will realise that my Jenson has his own style, he doesn't care if its summer and we are going to the pool...if he wants to wear a Merry Christmas t-shirt...he is gonna wear it! 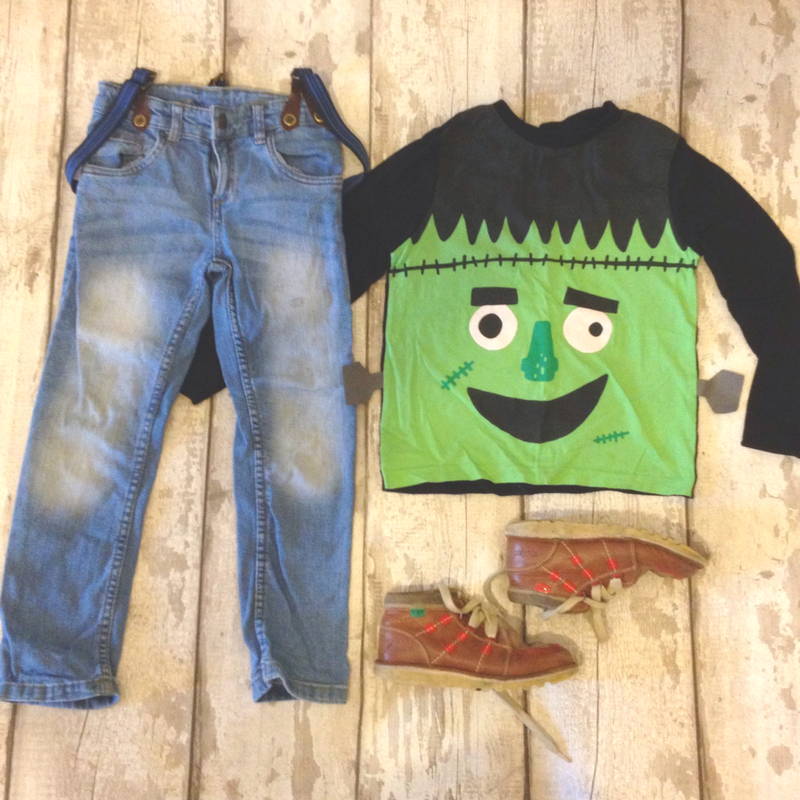 And so this week he has lived in his Frankenstein top that I got him in Tesco..you know when it was actually Halloween! Ellie has recently started buying her own clothes when she goes to her Dad's, there isn't much choice where we live and so as pre-teen girls do, when ever she gets a chance to raid Primark (and her Grandad's wallet!) shes there like a shot! These jeans were a really good choice from Boohoo (you can watch her Boohoo Kids look book on our YouTube channel) they have washed really well and she basically lives in them! 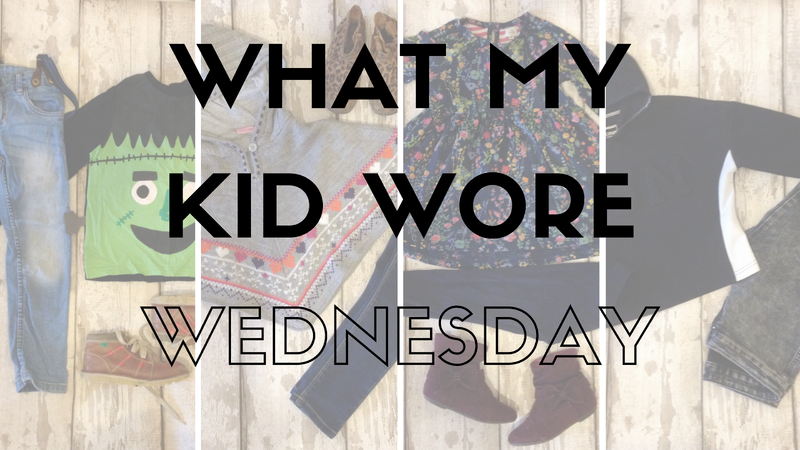 I'm sure they will make many an appearance here on what my kids wore Wednesday! I hope that I inspire you to do some bargain shopping of your own, let me know in the comments below if you find a bargain won't you, and let me know which outfit is your fave in the comments below or over on Instagram! 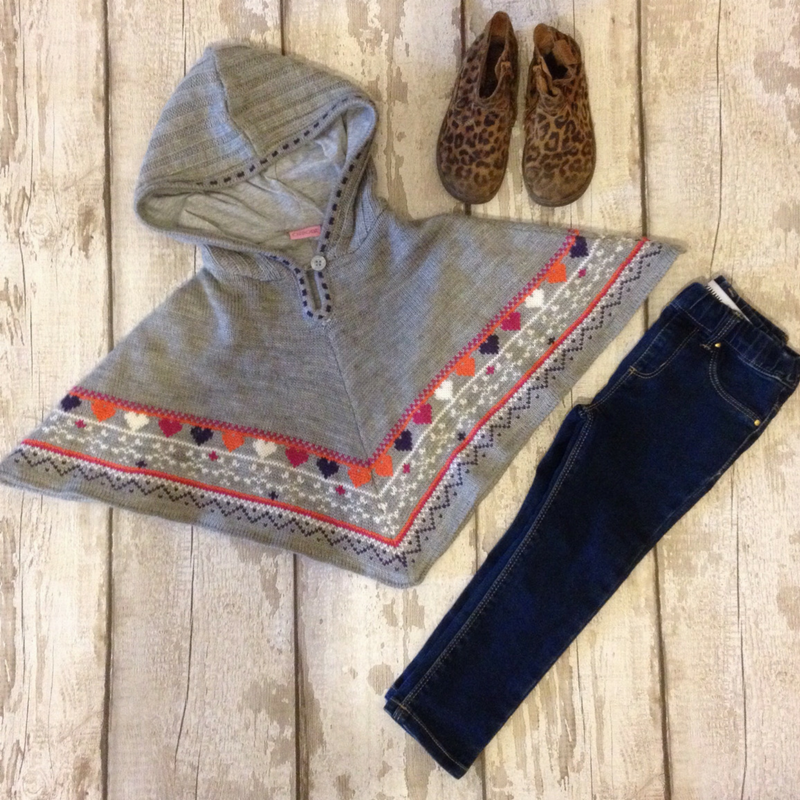 You have certainly found some great finds, i love the poncho and the berry coloured boots.